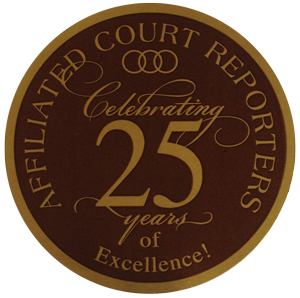 “Our firm has used Affiliated Court Reporters for our court reporting needs all across Washington for nearly 20 years. We have found their services to be consistently professional, timely and pleasant. In addition, Affiliated Court Reporters has been able and willing to help out with transcripts which are needed on a rush basis, along with bending their schedules to make themselves available in last-minute bookings. ~ Jeffery H. Capener, Esq., with the law firm of Wallace, Klor & Mann, P.C. ~ Darrell K. Smart, Esq., with the law firm of Smart, Connell, Childers & Verhulp, P.S.